The U.S. conducted its first airstrikes targeting the Islamic State of Iraq and al Sham (ISIS) in Sirte, Libya, on August 1. The airstrikes hit an ISIS tank and two vehicles at the request of the internationally recognized Government of National Accord (GNA), according to Pentagon spokesman Peter Cook. American military support for the GNA without a political resolution in Libya risks worsening Libya’s civil war and strengthening ISIS and al Qaeda in the long term. The U.S. air campaign will be in support of a faction that holds objectives that compete with, and sometimes oppose, U.S. interests in Libya. The UN-backed GNA does not have its own military forces or full support from Libyan factions. The Tobruk-based House of Representatives, which the Libyan National Army (LNA) backs, rejects the GNA’s legitimacy. The GNA must rely on a coalition of militias based in Misrata, a northwestern coastal city, to fight ISIS. The Misratan militias are fighting ISIS, but they will not pursue it at the cost of their primary interests. They seek to preserve and expand their influence in Libya. These militias are using the counter-ISIS fight as cover to expand eastward and secure control of oil resources in central Libya. Some Misratan militias have actively supported Islamist coalitions fighting the LNA in eastern Libya. 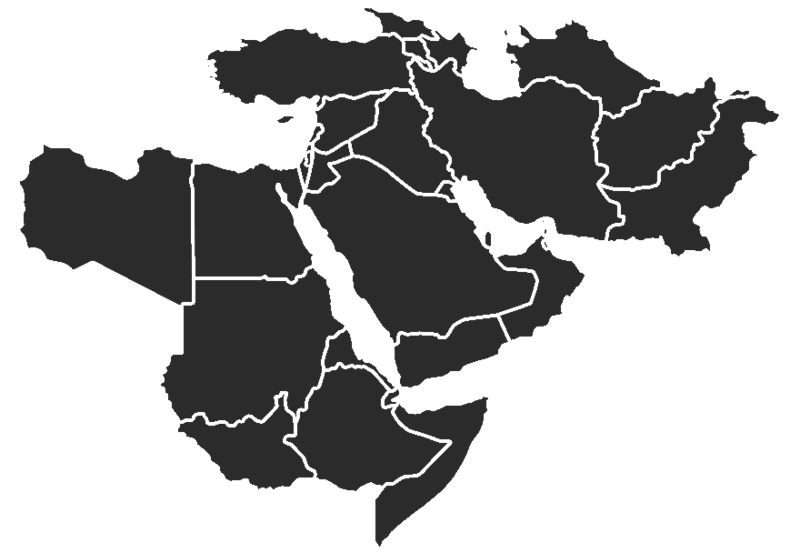 Ansar al Sharia, an al Qaeda-associated group, is a prominent member of these coalitions. The expansion of Western military intervention in Libya may induce groups to abandon or oppose the GNA. Loss of support for the GNA would undermine the only active political reconciliation process in Libya. Most armed factions in western Libya, including the Misratan militias, support or remain ambivalent to the GNA. They have stood by as the GNA began taking control of Libya’s political and economic institutions. Western intervention in Libya is a red line for many of these factions, however. The confirmation of French Special Forces operating in Libya sparked widespread anti-West and anti-GNA protests. The GNA’s call for U.S. military support is compounding this backlash. The GNA is weak. U.S. military support may weaken it further even should the GNA be able to claim the defeat of ISIS in Sirte. The current U.S. air campaign may not set the conditions necessary to defeat ISIS in Libya. American airstrikes should accelerate the progress of the counter-ISIS offensive in Sirte, but ISIS is already setting the conditions for its survival. ISIS has withdrawn personnel and combat capabilities from Sirte, a move that mitigates against the loss of its stronghold. There is not a Libyan force with which to partner that will pursue ISIS across the southern Libyan desert. Libyan factions will not do so at the expense of their strategic objectives. They will instead continue to focus their efforts along the Mediterranean coastline. ISIS will retain freedom of movement in southern Libya and will continue to conduct attacks in Libya and neighboring states. ISIS is not the only threat to U.S. interests that has a stronghold in Libya. Al Qaeda in the Islamic Maghreb (AQIM) continues to operate from southwestern Libya. Ansar al Sharia, which receives direct support from AQIM and other al Qaeda-linked groups, continues to operate along the northeastern coastline. Regional al Qaeda leadership is attempting to rally support to Ansar al Sharia in eastern Libya. Ansar al Sharia is fighting against the LNA as part of Islamist coalitions in Benghazi, Derna, and Ajdabiya. The re-ignition of the civil war may strengthen Ansar al Sharia in these cities, especially as the Misratan militias and other western Libyan factions support Islamist militants against the LNA. Action against ISIS in Libya is necessary, but the partnership with the GNA may not yield long-term success. The GNA still faces active opposition as Libya’s civil war simmers. Local counterterrorism partners have repeatedly prioritized their own objectives over those of the U.S. We must not assume that this partner will be any different. See CTP’s backgrounder on fighting forces in Libya for additional detail. The Benghazi Defense Brigades (BDB) conducted its first attack against the LNA in Ajdabiya on June 18. This attack prompted the House of Representatives, the eastern rival of the GNA, to declare martial law over eastern Libya, a direct challenge to the GNA’s authority. The LNA used the declaration to justify attacks against the non-Islamist, GNA-aligned Petroleum Facilities Guard (PFG) in Ajdabiya and to seize territory in central Libya. ISIS militants conducted several attacks in Sirte behind the Misratan frontline, possibly to maintain escape routes that facilitate withdrawal from the city. Misratan forces, hampered by Sirte’s dense urban terrain, struggled to interdict ISIS’s waves of suicide vehicle-borne improvised explosive devices (SVBIEDs). The LNA attacked the PFG in Ajdabiya under the guise of counterterrorism operations and in pursuit of political dominance in the central Libyan oil crescent. The LNA intensified efforts to seize militant strongholds in western Benghazi, likely in response to the mobilization of the Benghazi Defense Brigades (BDB), a coalition of militants ousted from Benghazi and now operating in the vicinity of Ajdabiya. The BDB seeks to coordinate with militants in Benghazi to oust the LNA from the city. Misratan militias advanced toward the ISIS headquarters in central Sirte, but militants continued to use rooftop snipers to slow progress and cause heavy casualties. Islamist militants attacked the LNA on multiple fronts. The BDB mobilized northward from Ajdabiya toward Benghazi in a coordinated effort with the Benghazi Revolutionaries Shura Council (BRSC), an Islamist coalition with ties to Ansar al Sharia in Benghazi, to reestablish a safe haven there. ISIS militants simultaneously conducted explosive attacks aimed at maintaining the group’s stronghold in western Benghazi. The Mujahideen Shura Council of Derna (MSCD), another Islamist coalition with ties to Ansar al Sharia, broke a temporary two-week ceasefire with the LNA and expressed support for the BDB. Misratan forces failed to progress in their campaign against ISIS in Sirte despite attempts to take control of the Hay Dollar district. French President Francois Hollande confirmed the deployment of French Special Forces in support of the LNA in Benghazi after reports emerged that three French soldiers died in an LNA helicopter crash. The BDB claimed responsibility for shooting down the helicopter. The confirmation of French support for the LNA sparked anti-Western and anti-GNA protests throughout Libya. The LNA continued its campaign against the BDB despite resistance and succeeded in slowing the BDB’s advance toward Benghazi. ISIS militants continued to deploy SVBIED capabilities to stall the Misratan offensive and facilitate withdrawal from Sirte. Misratan forces halted ISIS attempts to breach the front line, but failed to advance further into the city center. The U.S. expanded its counter-ISIS air campaign to Libya. U.S. airstrikes targeted ISIS positions in Sirte in coordination with the Misratan militias operating under the GNA. [26 Misratan forces seized multiple IED factories in the city. Misratan reinforcements based in Sebha in southwestern Libya deployed to Sirte on July 25, leaving key terrain in southwestern Libya without security forces. ISIS and BRSC militants conducted independent SVBIED attacks against the LNA in Benghazi. The groups aimed to halt LNA advances and protect their safe havens in Benghazi, and possibly seize momentum to drive back the LNA frontline. Peter Cook, “Department of Defense Press Briefing by Pentagon Press Secretary Peter Cook in the Pentagon Briefing Room,” U.S. Department of Defense, August 1, 2016, http://www.defense.gov/News/Transcripts/Transcript-View/Article/882676/department-of-defense-press-briefing-by-pentagon-press-secretary-peter-cook-in. Missy Ryan, “U.S. strikes Islamic State stronghold in Libya, expanding campaign against militant group,” The Washington Post, August 1, 2016, https://www.washingtonpost.com/news/checkpoint/wp/2016/08/01/united-states-strikes-islamic-state-stronghold-in-libya-expands-campaign-against-militant-group/. Emily Estelle, “GNA-Allied Forces Seize Momentum against ISIS in Sirte,” AEI’s Critical Threats Project, June 10, 2016, http://www.criticalthreats.org/libya/estelle-gna-allied-forces-seize-momentum-against-isis-sirte-june-10-2016. “Angry protests held in Libya to denounce French intervention,” Libya Observer, July 23, 2016, http://libyaobserver.ly/news/angry-protests-held-libya-denounce-french-intervention. Emily Estelle and Katherine Zimmerman, “Backgrounder: Fighting Forces in Libya,” AEI’s Critical Threats Project, March 3, 2016, http://www.criticalthreats.org/libya/estelle-zimmerman-backgrounder-fighting-forces-in-libya-march-3-2016; and Mustafa Fetouri, “Is the West about to repeat its mistakes in Libya?” al Monitor, June 8, 2016, http://www.al-monitor.com/pulse/originals/2016/06/libya-presidential-guard-armed-forces-legitimacy.html. “Terrorist Designations of Three Ansar al Shari’a Organizations and Leaders,” U.S. Department of State, January 10, 2014, http://www.state.gov/r/pa/prs/ps/2014/01/219519.htm and “Protests in Benghazi support Benghazi Defense Brigades,” Afrigate News, July 26, 2016, http://www.afrigatenews.net/content/%D9%85%D8%B8%D8%A7%D9%87%D8%B1%D8%A7%D8%AA-%D9%81%D9%8A-%D9%85%D8%B5%D8%B1%D8%A7%D8%AA%D8%A9-%D9%85%D8%A4%D9%8A%D8%AF%D8%A9-%D9%84%D8%B3%D8%B1%D8%A7%D9%8A%D8%A7-%D8%A7%D9%84%D8%AF%D9%81%D8%A7%D8%B9-%D8%B9%D9%86-%D8%A8%D9%86%D8%BA%D8%A7%D8%B2%D9%8A. James McAuley, “France says 3 soldiers were killed during mission in Libya,” The Washington Post, July 20, 2016, https://www.washingtonpost.com/world/france-says-3-soldiers-killed-during-anti-terror-mission-in-libya/2016/07/20/7d4bb358-386a-4aa4-9404-cc54bec9e12b_story.html; and “Angry protests held in Libya to denounce French intervention,” Libya Observer; and Mattia Toaldo and Mary Fitzgerald, “A Quick Guide to Libya’s Main Players,” European Council on Foreign Relations, June 2016, http://www.ecfr.eu/mena/mapping_libya_conflict. Emily Estelle, “ISIS’s Courses of Action- Out of Sirte,” AEI’s Critical Threats Project, April 29, 2016, http://www.criticalthreats.org/libya/estelle-isis-courses-of-action-out-of-sirte-april-29-2016. “Security alert and the spread of the army and police in Tripoli,” al Wasat, July 29, 2016, http://alwasat.ly/ar/news/libya/113118/. The reported number of ISIS fighters in Sirte has fallen from 6,000 in May 2016 to several hundred in recent weeks. See: “Islamic State struggling in Libya, Dunford says,” Stars and Stripes, July 18, 2016, http://www.stripes.com/news/islamic-state-struggling-in-libya-dunford-says-1.419671. The PFG, which had positioned itself on the eastern outskirts of Sirte, is now focused on positioning against the LNA in the vicinity of Ajdabiya, giving ISIS another route by which to withdraw from Sirte. See: Emily Estelle, “GNA-Allied Forces Seize Momentum against ISIS in Sirte,” AEI’s Critical Threats Project, June 10, 2016, http://www.criticalthreats.org/libya/estelle-gna-allied-forces-seize-momentum-against-isis-sirte-june-10-2016; and “LNA planes attack Jadhran base in Ajdabiya, claim it was being used by ‘terrorists,’” Libya Herald. “AQIM official praises fighters in Benghazi, rallies them to continue fighting in audio,” SITE, June 26, 2016, https://ent.siteintelgroup.com/Multimedia/aqim-official-praises-fighters-in-benghazi-rallies-them-to-continue-fighting-in-audio.html; “AQIM official Belmokhtar decries French involvement in Libya, calls Libyan Muslims to Fight,” SITE, July 23, 2016, https://ent.siteintelgroup.com/Statements/aqim-official-belmoktar-decries-french-involvement-in-libya-calls-libyan-muslims-to-fight.html; and Andrew Engel, “Libya as a Failed State: Causes, Consequences, Options,” The Washington Institute for Near East Policy, November 2014, http://www.washingtoninstitute.org/policy-analysis/view/libya-as-a-failed-state-causes-consequences-options. Moutaz Mathi, “Benghazi militants attack in Ajdabiya but forced by LNA to retreat,” Libya Herald, June 18, 2016, https://www.libyaherald.com/2016/06/18/benghazi-miltants-attack-in-ajdabiya-but-forced-by-lna-to-retreat-report; “LNA places attack Jadhran base in Ajdabiya, claim it was being used by ‘terrorists,’” Libya Herald; and “Air force strikes ‘Benghazi Defense Brigade’ in Ajdabiya,” Libya24, June 20, 2016, http://www.libya24.tv/news/43269. “Daesh carries out three suicide attacks against pro-government forces in Sirte,” Middle East Monitor, June 13, 2016, https://www.middleeastmonitor.com/20160613-daesh-carries-out-three-suicide-attacks-against-pro-government-forces-in-sirte; MENASTREAM, Twitter, June 15, 2016, https://twitter.com/MENASTREAM/status/743032665557860352; and “Terrorist attack in the town of Abu Grein west of Sirte,” al Wasat, June 16, 2016, http://www.alwasat.ly/ar/news/libya/109019. http://www.alwasat.ly/ar/news/libya/110154; and “Airstrikes in Ajdabiya target the southern region of the city,” al Wasat, June 29, 2016, http://www.alwasat.ly/ar/news/libya/110188. http://www.alwasat.ly/ar/news/libya/109668; and “Strike controls al Negeila neighborhood in Benghazi,” al Wasat, June 27, 2016, http://www.alwasat.ly/ar/news/libya/109998. “ISIS loses more grounds in Sirte as Misrata fighters advance to city center,” Libya Observer, June 21, 2016, http://www.libyaobserver.ly/news/isis-loses-more-grounds-sirte-misrata-fighters-advance-city. “Jadhran threatens revenge on LNA after Ajdabiya pullout,” Libya Herald, July 3, 2016, https://www.libyaherald.com/2016/07/03/jadran-threatens-revenge-on-lna-after-ajdabiya-pullout; “Clashes between ‘Suraya Defense Benghazi’ and ‘Dignity Operation’ in the town of Sultan,” al Wasat, July 10, 2016, http://alwasat.ly/ar/news/libya/111047; and “Three LNA operatives killed in Derna,” Libya Herald, July 2, 2016, https://www.libyaherald.com/2016/07/02/three-lna-operatives-killed-in-derna/. “Violent clashes near Ouagadougou in Sirte…and ‘al Bunyan’ announces complete control of the 700 district,” al Wasat, July 1, 2016, http://www.alwasat.ly/ar/news/libya/110397. “Police arrest alleged BDB supporters in Soloug and Gemenis,” Libya Herald, July 17, 2016, https://www.libyaherald.com/2016/07/17/police-arrest-alleged-bdb-supporters-in-soloug-and-yemenis-report/; and “Angry protests held in Libya to denounce French intervention,” Libya Observer. “BDB column said to be in full retreat from Magroun,” Libya Herald, July 20, 2016, https://www.libyaherald.com/2016/07/20/bdb-column-said-to-be-in-full-retreat-from-magroun/; and “Dignity Operation forces shut off Derna’s eastern entrance,” Libya Observer, July 13, 2016, http://www.libyaobserver.ly/news/dignity-operation-forces-shut-derna%E2%80%99s-eastern-entrance; and “Haftar’s fighter aircraft strike Sidi Aziz district in Derna,” Libya Observer, July 14, 2016, http://libyaobserver.ly/news/haftar%E2%80%99s-fighter-aircraft-strike-sidi-aziz-district-derna. “ISIS names the perpetrators of two suicide attacks against al Bunyan al Marsous forces in southern Sirte,” al Wasat, July 15, 2016, http://alwasat.ly/ar/news/libya/111664/; and “Fighter jets bomb the Ouagadougou Conference Center in Sirte,” al Wasat, July 18, 2016, http://alwasat.ly/ar/news/libya/111975/. “Fighter jets bomb the Ouagadougou Conference Center in Sirte,” al Wasat, July 18, 2016, http://alwasat.ly/ar/news/libya/111975/. Missy Ryan, “U.S. strikes Islamic State stronghold in Libya, expanding campaign against militant group;” “Heavy losses as Bunyan Marsous resumes Sirte attacks on IS,” Libya Herald, July 21, 2016, https://www.libyaherald.com/2016/07/21/heavy-losses-as-bunyan-marsous-resumes-sirte-attacks-on-is/; and “Al Bunyan al Marsous conquers Hay Dollar and clashes enter the hospital region in Sirte,” al Wasat, July 31, 2016, http://alwasat.ly/ar/news/libya/113296/. “Misratans pull in reinforcements from the South,” Libya Herald, July 25, 2016, https://www.libyaherald.com/2016/07/25/misratans-pull-in-reinforcements-from-the-south. “Libyan National Army special forces lose a soldier in explosion near Qawarsha,” al Wasat, July 29, 2016, http://alwasat.ly/ar/news/libya/113111/; and MENASTREAM, Twitter, July 30, 2016, https://twitter.com/MENASTREAM/status/759404996534345728.